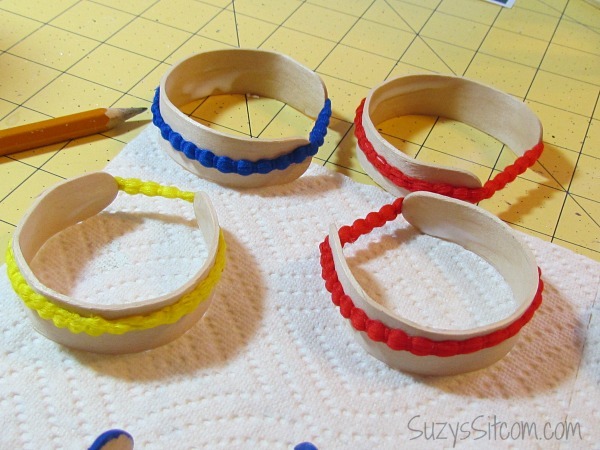 How to make bracelets from popsicle sticks! So I was looking through my vintage craft book collection and ran across a 1970 Pack O’ Fun magazine. 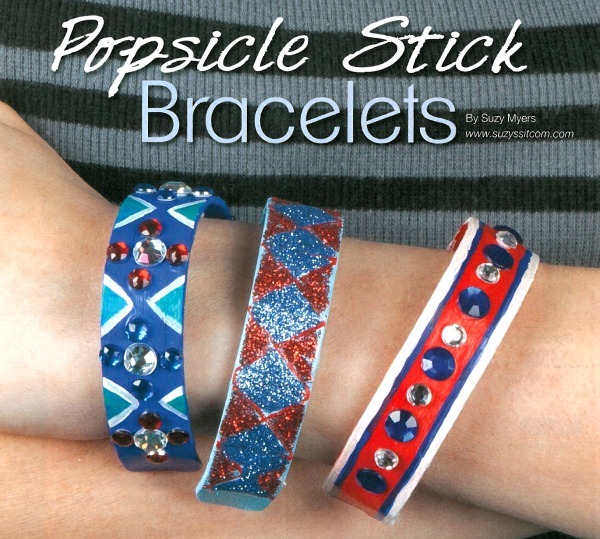 They had instructions on how to take a simple popsicle stick and turn it into a bracelet. I’m always happy to try and take a good idea and run with it. Well, I’m certainly on board for that. The thought of being able to make wood pliable put all kinds of ideas in my head. But we’ll start with the project at hand which happened to be bracelets. 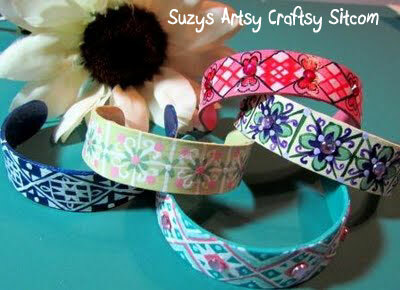 So lets put together some cute bracelets. With bling. 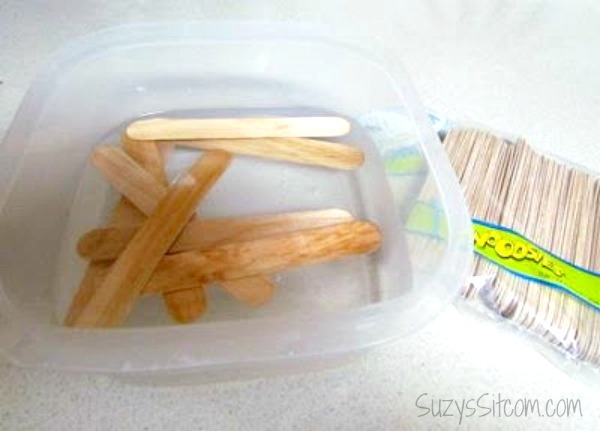 The instructions in the magazine called for allowing the popsicle sticks to sit in water overnight. Once they have become completely saturated, it was simple enough to curve them to fit into the top of a drinking glass. I found that I still had to work the wood, warming it with my fingers, to make it pliable enough to fit into the top of the glass without splitting. My success rate was about 60%. 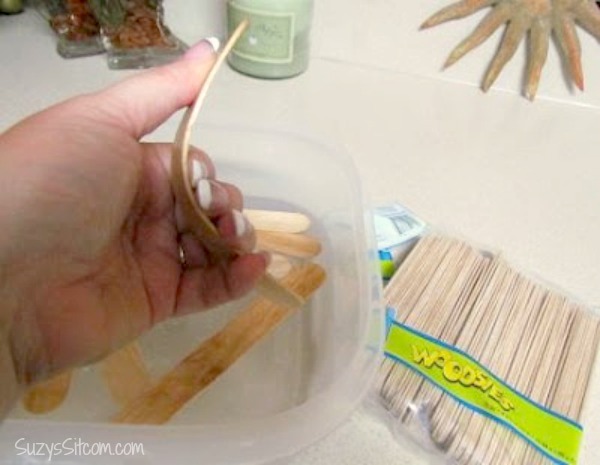 So, I tried it again, but this time I used a pan of water and boiled the popsicle sticks for about 30 minutes and then allowed them to sit in the hot water for another 30 minutes. This time my success rate for unsplit popsicle sticks was about 80%. Either way works well and if you aren’t as picky as I am, your success rate might be better. The sticks are cheap, so I’m okay with a bit of error. 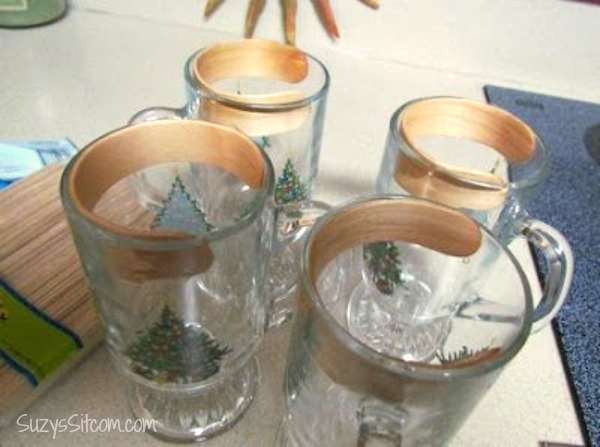 Once the sticks are formed in the glasses, I allowed them to thoroughly dry overnight and then easily removed them from the glasses. Once I removed them from the glasses, I added a coat of Mod Podge to the insides and used small hair ties to help them maintain their shape. Now for the next step!